Dr. Bailes’ expertise is in neurovascular disease. Dr. Bailes is a recognized leader in the field of neurosurgery and the impact of brain injury on brain function. He has been instrumental in the understanding of the clinical evidence of chronic traumatic encephalopathy (CTE), a progressive degenerative disease found in individuals who have been subjected to multiple concussions and other forms of head injury. His laboratory research has focused upon mechanisms and treatment of cerebral concussions. Dr. Bailes also is a founding member and director of the Brain Injury Research Institute, which focuses on the study of traumatic brain injuries and their prevention. 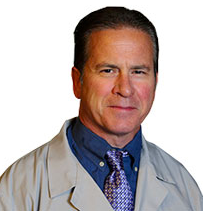 Dr. Bailes has over 120 scientific publications concerning various aspects of neurological surgery, including three books on neurological sports medicine, and performs editorial duties for a number of medical journals. Dr. Bailes has been honored as one of the nation’s best surgeons for eight consecutive years in U.S. News & World Report’s “America’s Best Doctors” and “America’s Top Surgeons.